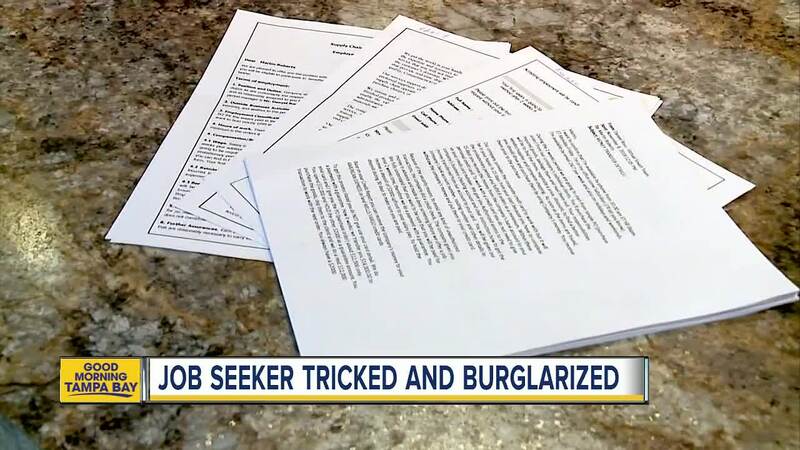 Pasco Sheriff's Office is warning people about a sophisticated scam targeting local job seekers. 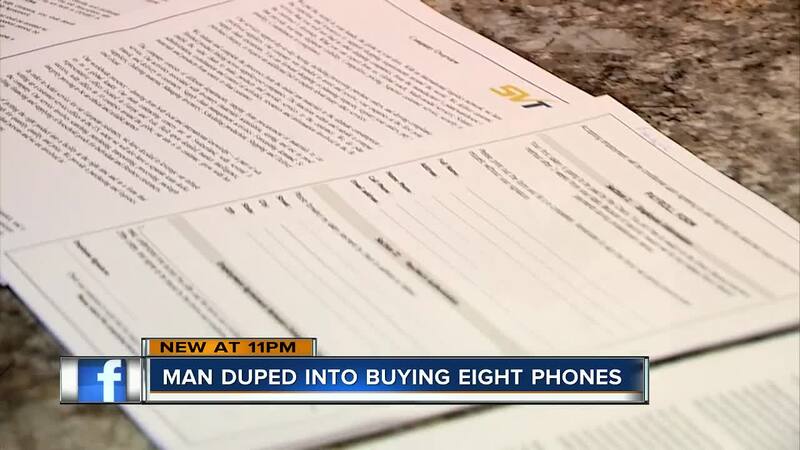 Martin Roberts, 81, bought eight brand new iPhones believing it was part of a new job, but detectives believe somebody was watching him and waiting for him to return to his New Port Richey home. The retired custom-home builder was applying for a "virtual smart team" job online. “Work from home, be your own boss, and we will provide you the money that you will need,” he said. The paperwork laid out a plan to pay off his credit card balance. He then used that card to buy iPhones to ship overseas. “I’m very cautious. This is the first time, but this was so well documented,” Roberts said. But when he got home from buying the phones, someone in a white Jeep was right behind him, as surveillance video shows someone running into his garage to steal the devices. “It was absolutely an opportunity and they took advantage of the opportunity,” Lieutenant Jeremy Colhouer of the Pasco Sheriff's Office said. Now the Sheriff's Office is investigating if the phony job was a set up for the iPhone burglary. “They did steal the phones and luckily the victim didn’t get physically injured but absolutely could happen,” Colhouer said. Roberts is now out several thousand dollars and has a warning for job-seekers about hunting for work online. “When you see something on the internet or get something in the mail, be sure you know who it’s from,” Roberts said.